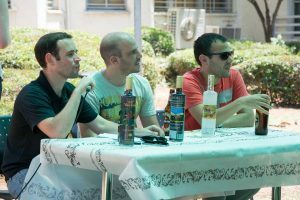 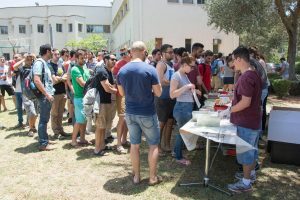 The Annual Faculty Picnic of the Faculty of Aerospace Engineering, organized by the student committee, took place on June 1st, 2016. 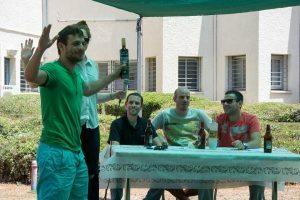 The picnic was attended by the Dean of the faculty, faculty members, students, and technical and administrative staff. 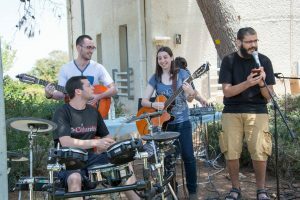 The event included delicious food, lots of beer, and great music. 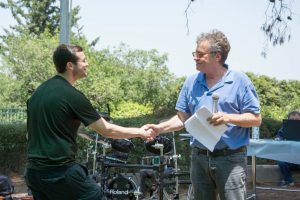 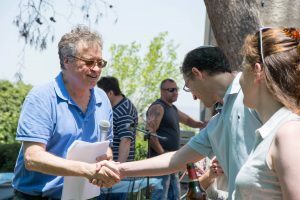 – Ohad Ben-Yaakov, PhD, received the “Weissman Jacknow Prize” for prolonged excellence in teaching as well as a prize for being an outstanding Teaching Assistant for the fourth time. 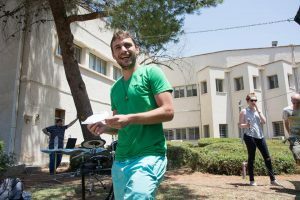 – Samuel Hayoun, a PhD student, received a prize for being an outstanding Teaching Assistant for the second time. 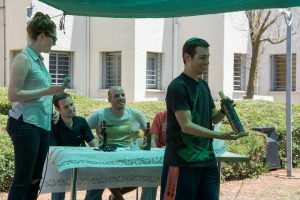 – Nati (Naftaly) Tuito, an MSc graduate student, and Omer Cohen, an undergraduate student, received a prize for being outstanding Teaching Assistants. 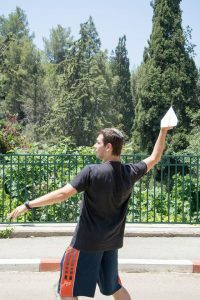 In addition, a Paper Planes Competition (which never ceases to surprise) was held, in which Noam Brod won in the long range category and Or Faibish won in the concept category.